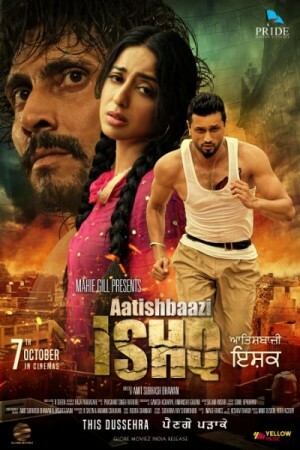 Aatishbaazi Ishq is a Punjabi language Indian drama film based partly on the sports industry of the state. The film primarily revolved around the theme of one sided love and egoistic approach the sportsmen usually have when it comes to love. The story follows the life of a boxer and a wrestler who are unlucky enough as they fall in love with the same woman. As both of the men are from violent sports, the situation turns ugly as they finally come face to face with each other.